The expansion of San Sebastián in the late XIX century after the demolition of the wall caused a great renovation of the city, which after this became a referent at a European level. It was planned in a careful way, with a fancy and nineteenth-century urban planning, and with an eclectic style. Nowadays this area is preserved almost unaltered and has very prominent buildings. The City Hall of San Sebastián was used as a casino from 1897 to 1924, when gambling was forbidden. After that, it became the courthouse of the city in 1947. In the middle of the Bay of La Concha, with the incessant atmosphere of the historical center at its back and with the calm of the Alderdi Eder gardens in front of it, the city hall is without any doubt a mandatory stop. Plaza Gipuzkoa is like a small forest plenty of charm and Romanticism located in the center of the city. We can outline the lake with ducks and swans and the neoclassical building of the Diputación Foral de Gipuzkoa that presides over it. Catedral del Buen Pastor was opened in 1897 too and was built with slate and rocks from Monte Igeldo. Its ogival-style aesthetic is inspired by the medieval churches of Germany and France, including the sharp spire that crowns the building. 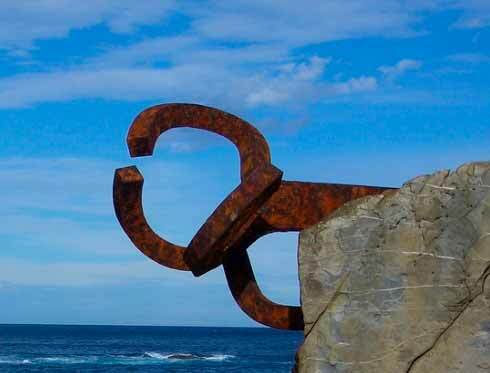 On its main façade stands out La Cruz de la Paz, work of the sculptor Eduardo Chillida. Following the expansion of the city to the interior, we find other unique points such as Plaza Bilbao, Puente de María Cristina or Paseo de Francia. 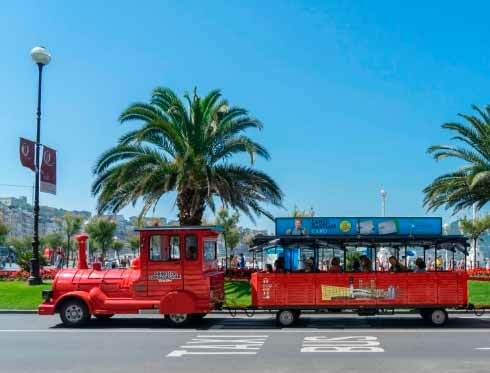 San Sebastián City Tour is the hop-on hop-off tourist bus service that will take you to know all these places and more. To admire closer the city hall and the square, get off at the stop 3 of the tour. If you want to visit the cathedral, you will find it at the stop 15. 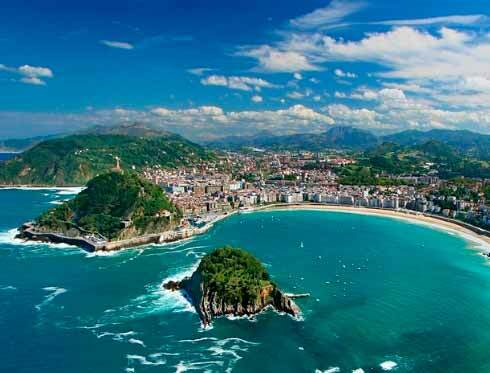 Do not miss the opportunity of discovering San Sebastián in the best way with City Tour!